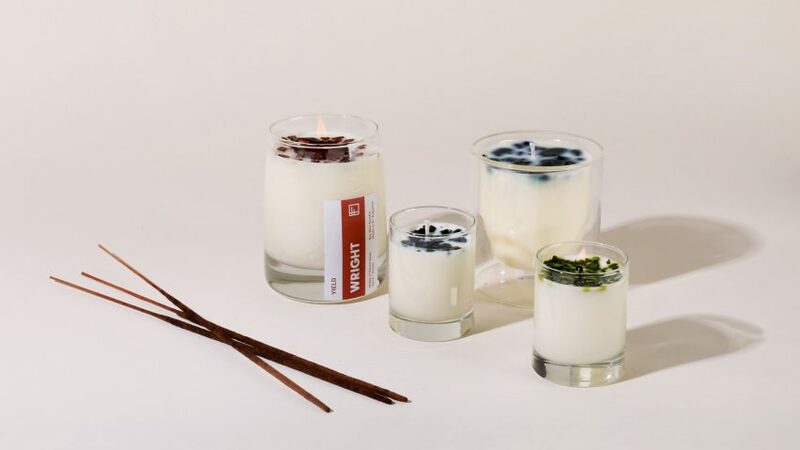 A scent based on architect Frank Lloyd Wright can waft through your spaces thanks to this collection of candles and incense sticks, created by Florida design studio Yield. 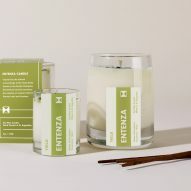 The Architect Candle Collection and accompanying incense sticks come in three fragrances: Wright, Scarpa and Entenza – named after prominent 20th-century architects and designers. Yield founders Andrew Deming and Rachel Grant chose Frank Lloyd Wright, Carlo Scarpa and John Entenza as they are among the duo's favourite architects. The scents are tailored to evoke the projects created by these revered masters. 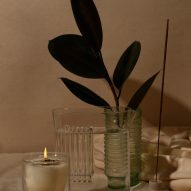 "Each candle distills distinct elements of place and environment into a balanced and modern scent," Deming told Dezeen. "This is our modest attempt to distill that sense of place (not the literal scent of the building's interior) into something." Deming and Grant came up with the idea for architect-inspired candles from their travels together. 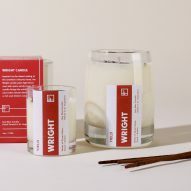 The Wright fragrance includes notes of desert rose, sand and amber – based on the arid setting of Wright's winter home: Taliesin West in Scottsdale, Arizona. 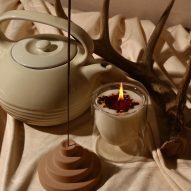 On top of the cream-coloured soy candle are merlot red-coloured soy wax chips, which melt together to form a liquid red layer. "The scent brings the outdoors in and crafts natural elements into a rich and distinct composition," said the studio. For the range named after American designer Entenza, a combination of eucalyptus, rosemary and birch merge together. 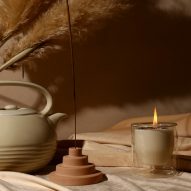 The candles are topped with sage-coloured soy wax chips that melt into chartreuse. The line has fresh, crisp notes evocative of coastal California, as Entenza was the publisher of Los Angeles-based Arts & Architecture magazine and the sponsor of the famous Case Study Homes series in the city's Pacific Palisades. "The Wright and Entenza scents came very naturally," Deming said. Italian architect Scarpa's scent blends palo santo, leather and vetiver, which fuse for a deep aroma. The dark candle feature midnight black chunks on top. The candle is inspired by the architect's "bold yet harmonious sanctuary near Venice", the studio said. "Scarpa was the most difficult to develop," Deming said. "It is one of our deeper, more masculine-leaning scents, but it has a complexity and subtlety that befits its namesake." 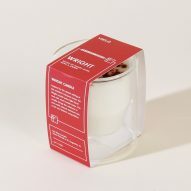 Yield's Architect Candle Collection is soy-based and the candles come in three sizes: a small design known as votive; an eight-ounce edition; and a version that comes in a six-ounce, double-walled glass container that was originally launched by Yield as a cup. The glasses are designed to be reused once the candle is finished. 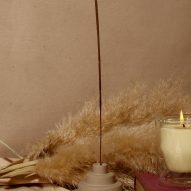 The studio has also created a small ceramic object for holding the incense, which is also available in each of the three scents. 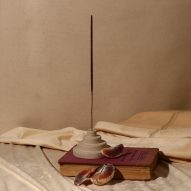 The piece holds a stick of incense vertically and catches falling ash on its steps. 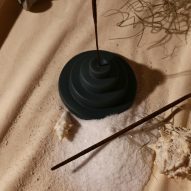 The Meso Incense Holder was made in collaboration with local ceramicist Lauren Ytterbom and references Mesopotamian architecture.